We are an Adelaide plumbing business specialising in emergency plumbing and domestic plumbing services. We have over 20 years experience in providing plumber services to Adelaide and surrounding areas. We also provide specialist bathroom and home renovation services. Adelaide, Unley, Glenelg, Morphett Vale, Henly, Magill, Colonel Light Gardens, Stepney, Halley Cove, Mt Barker, Adelaide Hills, and all surrounding suburbs and areas. Typical Job Costs:$100 - $20,000Depending on type of job and details. 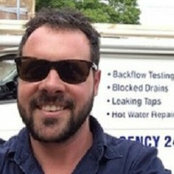 I hired Mayfair Plumbing for a bathroom renovation, I found Aaron to be very helpful and reliable, I will be telling my friends about my experience, thank you.